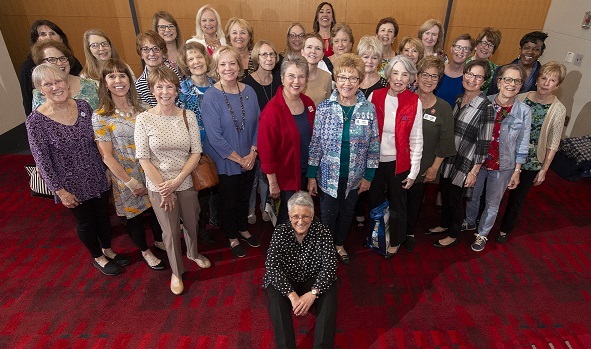 Assistance League of Charlotte was awarded the “Partners – Thanks for Going The EXTRA MILE” award presented by Charlotte Mecklenburg Schools (CMS). Assistance League of Charlotte is honored to be recognized as a Champion Partner with CMS. Our budget-supported, structured program is designed to support the needs of children in the school district. They can consistently depend on our help, year after year. We began meeting and working with Community Partnerships and Family Engagement three years ago. Our goal was to research other ways to expand our programs knowing that the CMS would best know the needs of the children. Providing hygiene kits and other hygiene supplies, socks and underwear to the Homeless Closet which is sponsored by the McKinny-Vento Federal program for aiding homeless children. We added scholarships for children in the Arts programs. Operation Check Hunger received suggestions on schools to target for food pantries.